Last week, Broadsheet ran a story on Hopsters. 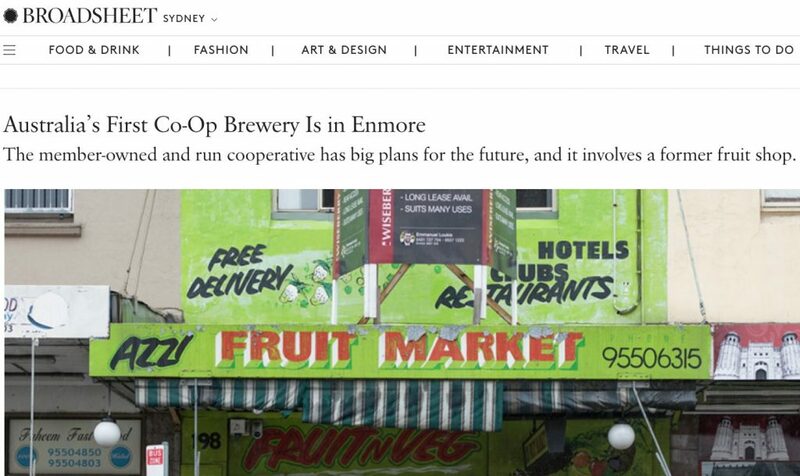 They wrote about how Hopsters began, what a co-operative brewery is, and the plans to open a taproom in Enmore in the new year. Hopsters first canned batch is available for pre-order, with delivery/pick-up available in December. Show your support by pre-ordering our beer now and help spread the word about the campaign so we can ensure we reach our target and get our beer to as many members and customers as possible. To pre-order your very own today, head over to the Pozible campaign page. Sign Up for the Hopsters Movement! Want to own part of a brewery? Now you can for as little as $250. Better yet, want to be a part of the Hopsters movement? No, the two aren’t contradictions, at least not in Sydney these days. 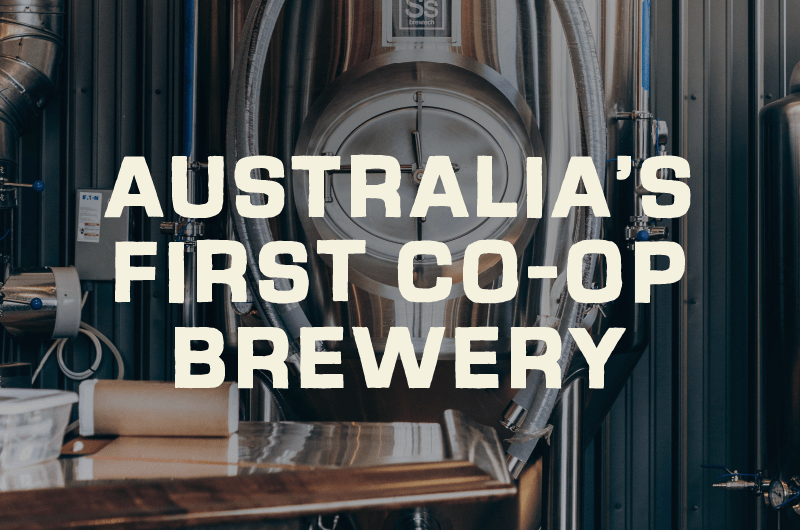 You see, a group of beer aficionados and aspiring brewers have launched Hopsters Co-operative Brewery Ltd. which hopes to be rolling out craft beer in Sydney sometime in late 2017. In many ways it is an ordinary brewery start-up, trying to round up capital at the same time as they sample test batches and finalize plans for the future brewery. Except that Hopsters is structured as a co-operative, an unfamiliar legal entity and particularly rare in the beer world. 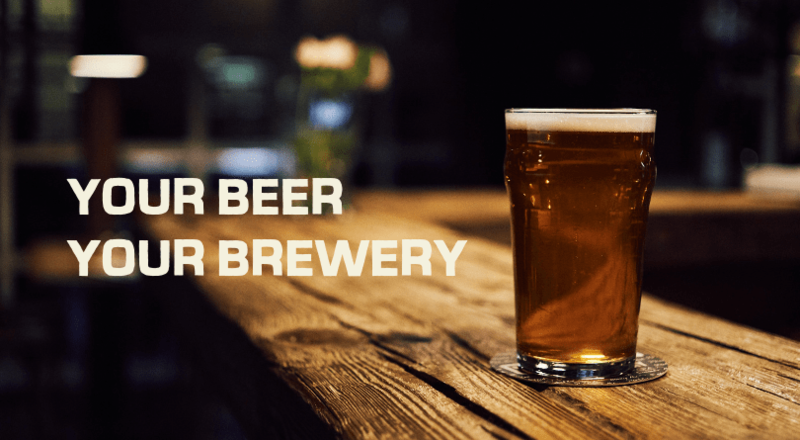 Most breweries adopt a standard corporate structure, with ownership shares and a for-profit purpose, meaning both the control of and the benefits from the brewery accrue to the owners. We all get to share their beer, of course, but the profits only go in one direction. The co-operative model turns that on its head. “We won’t make a profit in a strict sense”, says Marco Vargas, one of the founding members of the Co-operative. “We will do dividends. Surplus of the company will be distributed between its members based on the number of shares they own”. This may sound odd to many, but it is a standard procedure for co-operatives. Co-operatives are a form of democratic, collective ownership that spreads both the risk and the decision-making authority. Without getting too technical, Hopsters in the parlance is a consumer co-operative, much like Co-operative grocery stores, etc. $250 buys you 5 shares in the co-operative and gives you a slice of the organization’s ownership. With membership comes some key rights. “Members get a vote, priority access to beer and events, brewery discounts and a say in what beer we brew” says Vargas. Hopsters’s plan is to build a base of a few hundred members who are invested, both financially and psychologically, in the brewery. They hope to leverage the capital raised from members into additional financing for a 20 hectolitre brewery with a full-service tap room to serve the region. “This year is about the membership drive and a funding drive. Hopefully by next year we will be putting the wheels in motion on our own stuff”, says Vargas. The project started, not surprisingly, over some beer. About 10 beer lovers talked about starting up a co-operative beer operation and Hopsters Co-operative Brewery Ltd was born. Connection to the community is a strong ethos in Hopsters. Vargas adds, names will likely be subject to member vote – another right of membership. The brewery name was selected by rank ballot of the original members and future. Members will be polled on things like styles to brew, beer names and other aspects of the brewery operations. Final decisions on beer will rest with the brewmaster, for obvious reasons, but members will be encouraged to submit ideas. “We will have events where members can bring beer and recipes. We will have competitions of homebrewed suggestions”. At this stage in their development, Vargas couldn’t offer insights into the styles of beer or their names. The process for deciding such has not yet happened. Because of their decision to eschew traditional capital models, co-operatives have to work much harder to make things happen. Vargas and his fellow members are in the early stages, but they are encouraged by the response so far. “Membership sales have started on December 3rd and growing each day without any real advertising”. At this rate, Vargas will be seeing a new, co-operatively-owned brewery sooner rather than later.